In recent years, comic scholarship has seen an influx of practitioners, whose practice forms the basis of their research activity. Practice-based PhDs have become academic books (Nick Sousanis’ Unflattening being the most high-profile example) while Neil Cohn uses practice as a method for exploring the language of comics. Practice is an increasingly important element of general theoretical studies as well, with UAL graduates Dr Simon Grennan (A Theory of Narrative Drawing) and Dr John Miers both producing research informed by practice, even if not entirely based or led by it. In this seminar, researchers and practitioners from across UAL will come together to discuss the roles of practice in research, research in practice, how the two work together effectively, and where challenges arise. Join a roundtable of speakers for a discussion that will cover a range of topics, including research/practice methods, practice as/based/led research, and the future of practice in research. 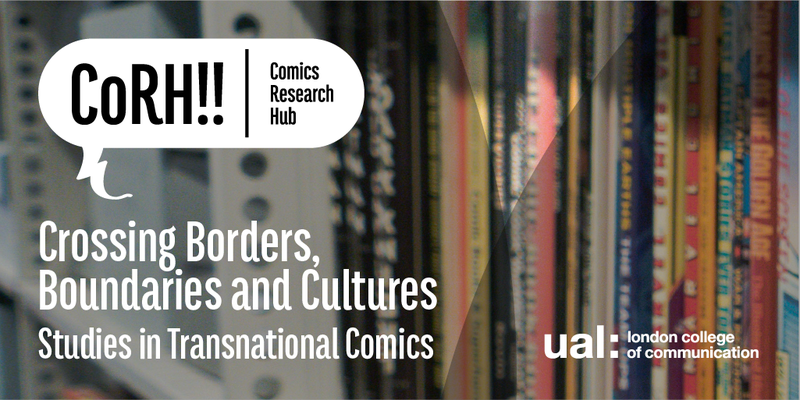 Although focused on Comics Studies as a discipline, it is hoped that the event will examine issues relevant to PhD students and supervisors in other art and design subject areas.